You may have heard that Melbourne is Australia's best or most cosmopolitan city. You weren't wrong. Victoria's capital is really interesting with its Victorian architecture, its trendy neighbourhoods where shops, cafés and restaurants each have a "something" different. The city's artists have left their mark on some parts of Melbourne. You will certainly like the architectural mix of skyscrapers with the old buildings from the 19th century that you will see from one of the tramways that cross the city. Melbourne hosts major sporting events, but also has beaches, its Port Phillips Bay and its parks, especially along its Yarra River. 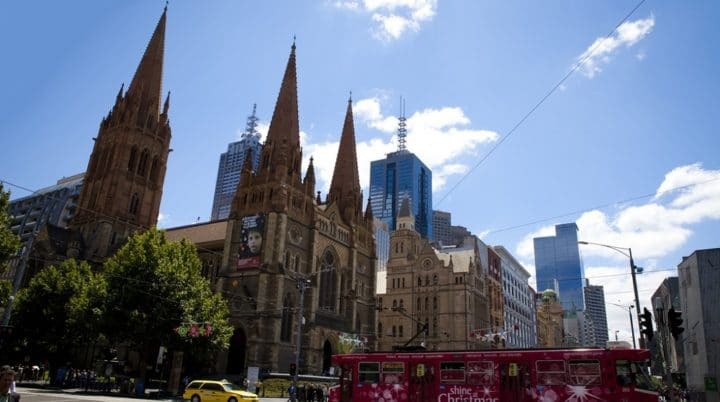 To help you to plan your trips in Melbourne, we listed visits and places of interests to do in Melbourne. Where to stay in Melbourne (appartments, hotels, youth hostels,...) ? To enjoy your stay in Melbourne, it is necessary to pick the right location to stay. We give you here our best tips to know in which neighborhood to sleep and choose your accomodation accordingly ! Want to see Melbourne as a local ? To discover hidden places and to enjoy your stay away from mass tourism? The fast lane is here !